So with the addition of a scrappy border. My beginners nine patch quilt , is done. And on the whole I am quite a little bit proud of myself. Measuring is a challenge to me and as for being accurate to 1/4 inch , it brings me out in a glow just thinking about it. The rotary cutter terror was overcome, the mystery of the lines on the ruler and mat became clearer, and scary new sewing machine saw me changing the sewing feet with confidence. I am ready for the next quilt…. 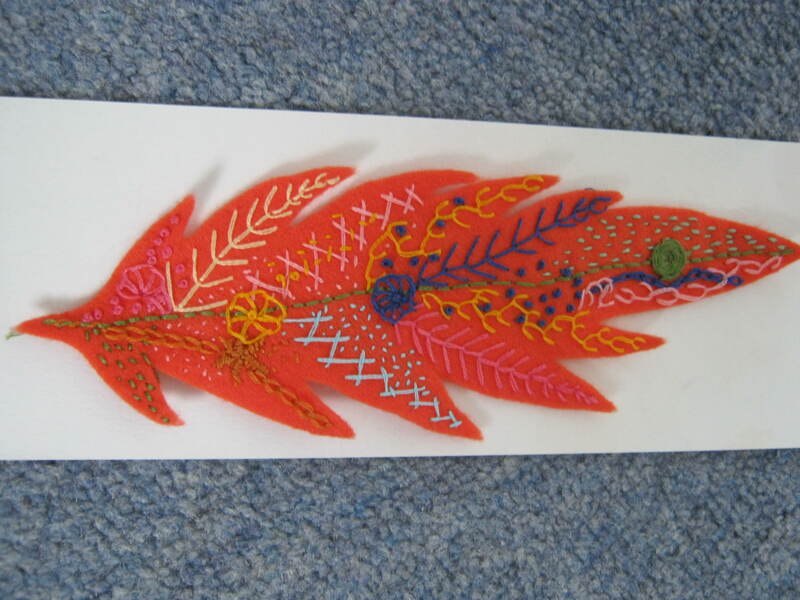 Joining with Kate for Scrap Happy day, please pop over there to see how others have used their scraps. In which there is still no knitting but there is a unicorn, a Fairy Godmother, a Princess, and happy mail. I have no excuses for the lack of knitting for the last week, life simply got in the way. Hopefully I will remedy this in time for next week. Let’s start with Happy Mail which this week saw the return of my Sawdust Heart. 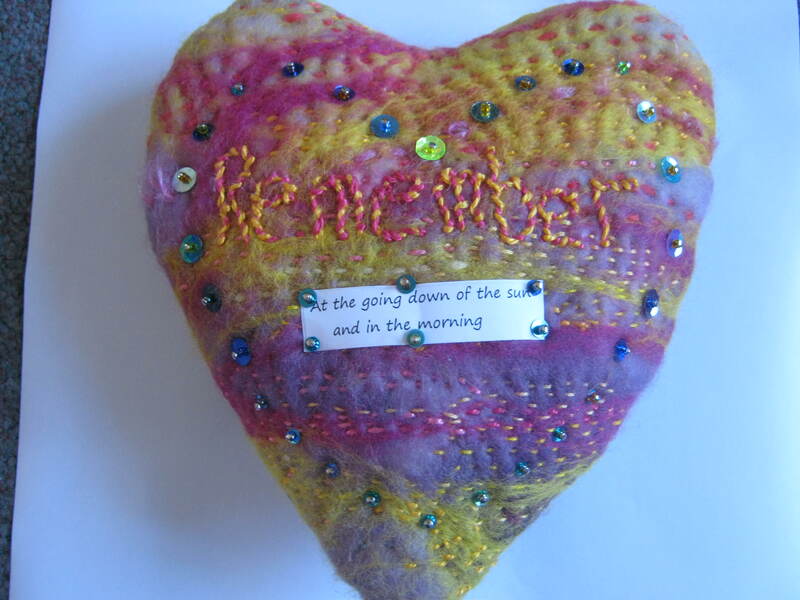 Sadly there will be no further exhibitions of these hearts but the organiser Helen Birmingham has decided to collate all the personal stories that inspired the makers. I feel very grateful for the chance to take part in this event. Look who came to live in England. Please meet Frond,we shall be hunting all kinds of magical beasts in the years to come. Thank you very much indeed, he made my day. Weekend plans- yippee it is Spring into Wool tomorrow in Leeds, can’t wait to try surface crochet and go hunting for sock yarn to make my first ever pair of socks. And so to the unicorn etc. 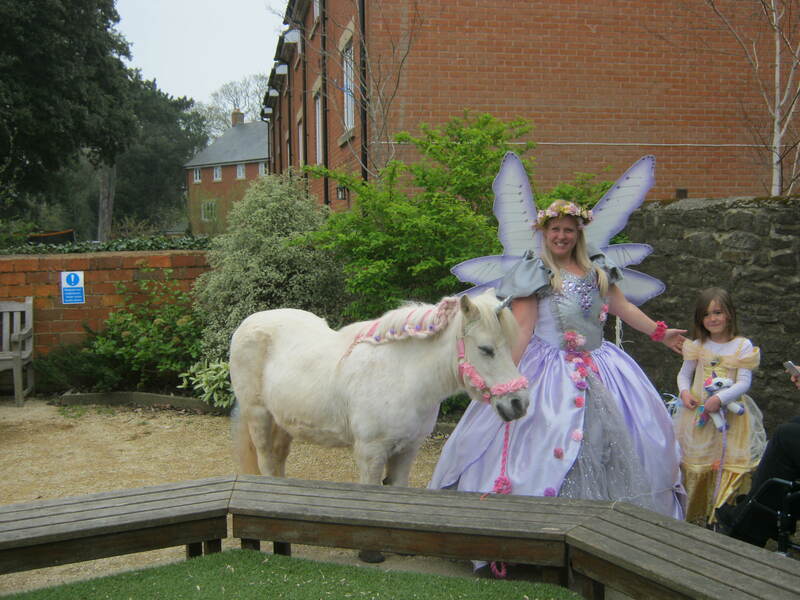 See, they are real as are Fairy Godmothers and Princesses. Not something you see every day in Swindon hey. 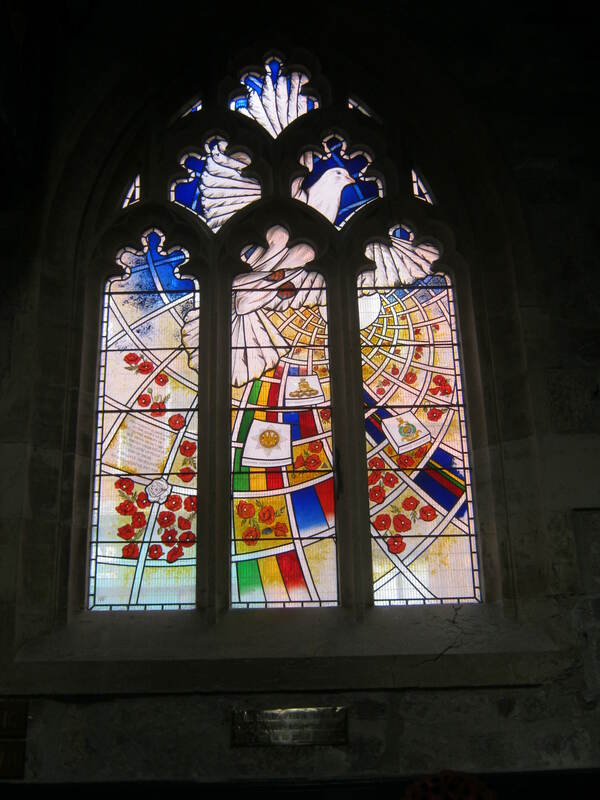 My windows this month come from the church of All Saints Pavement, York and a favourite shop in York, guess what they sell that attracted my attention- picture at the end. 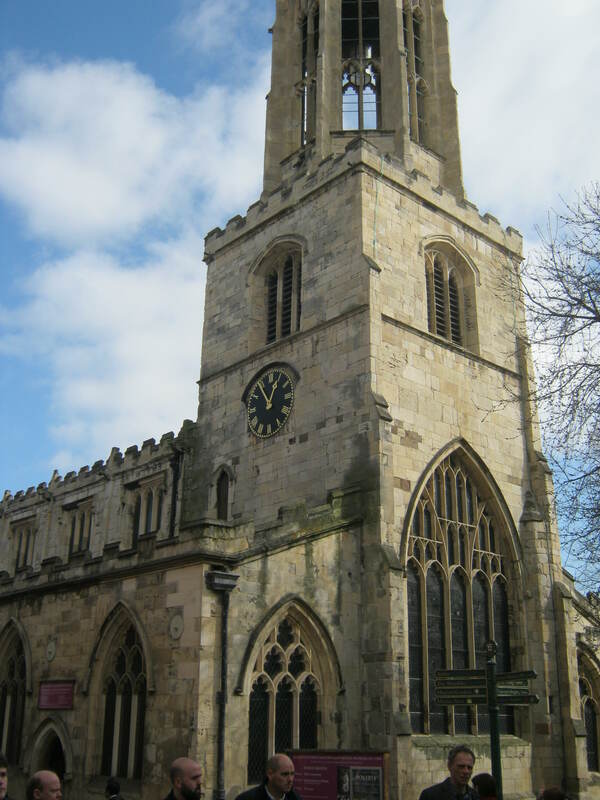 First the church, so called because this was the first street in York to be paved. Winodws from outside and windows from the inside. 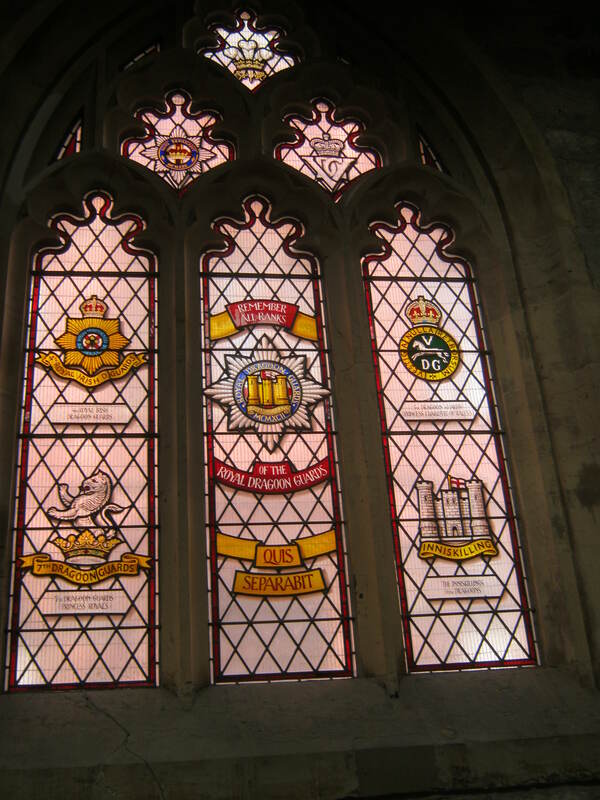 This is the Royal Dragoon Window, installed in 2002. 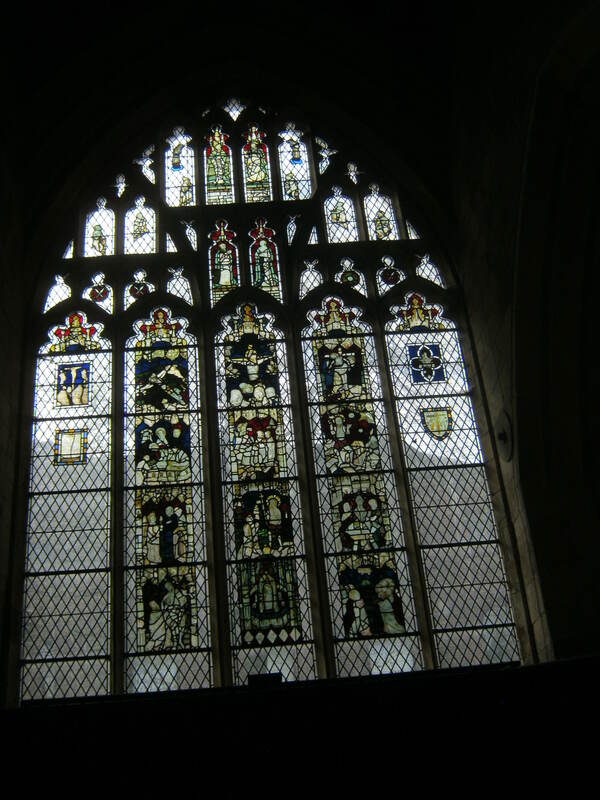 This is the West window designed by Charles E Kempe, a celebrated Victorian designer. Still no Knit, shame on me. The quilting class last week was hard work , physically and mentally. With hindsight I rather wish it had been six half days rather than three full days . However I have learned a great deal and in particular the things I wanted to get out of the class. I can now use a rotary cutter and a ruler thingamabobs. 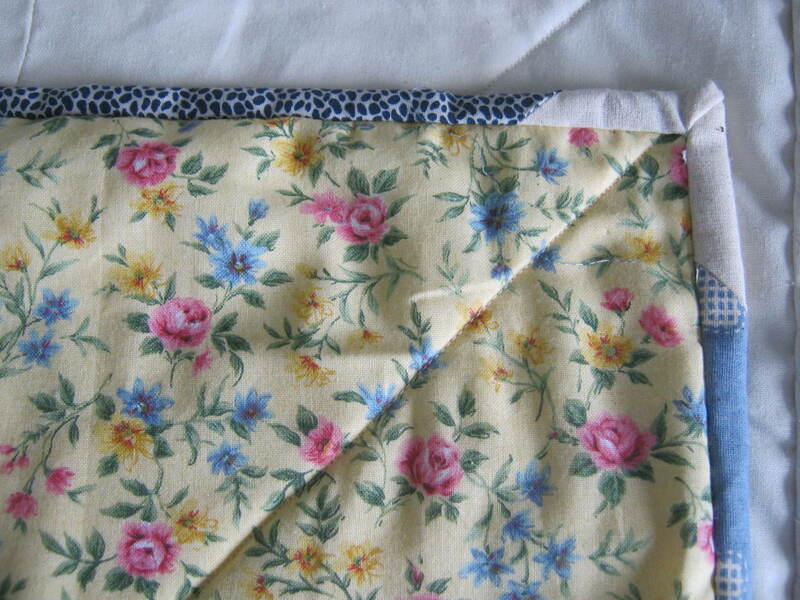 I have constructed a block, with 1/4″ seams and made a scrappy binding, and learned how to add wadding and a backing. So on the whole. although battered and shattered I am glad I did the class. Last week was the binding. I duly turned up with the required strips all cut out and in sufficient number, only to be told a lot of them were too short. GROWL. She didn’t say how long a strip needed to be before it was difficult to sew. So I cut some more and stitched them together. More says the tutor. I cut more. By now it was 2pm. Finally I had them all joined up. Ironing mode and trimming mode. By three pm I had them all pressed and ready to attach. Off I went , oh but I should have stayed in snail mode. I had to get the binding attached all round in order to be shown how to join it. At 3.50pm with less than ten minutes to go I was ready. Binding duly joined. Tutor inspects sewing. OH dear me, hangs head in shame. I had gone very very wonky in my rush. Anyway I finished attaching the binding with tables being cleared around me. So nearly done. 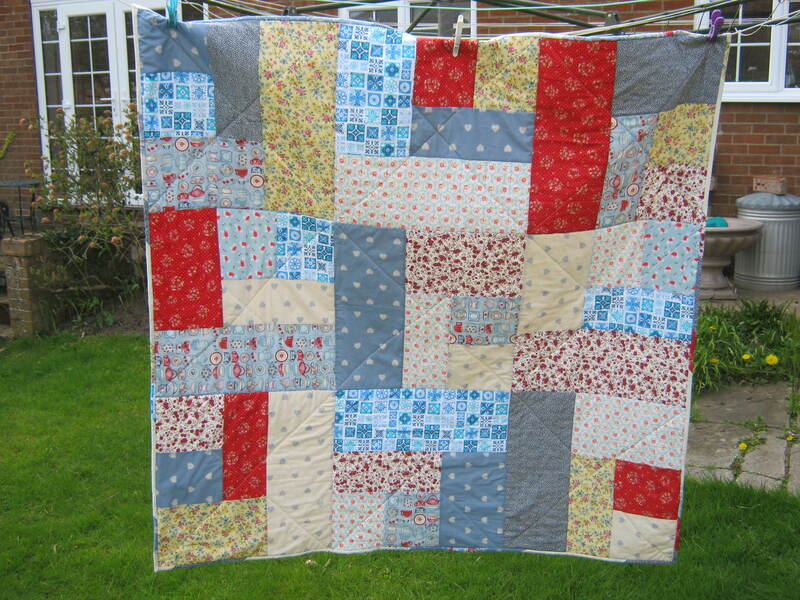 Mrs Hare from last month had the final laugh, she finished her quilt bang on time at 4pm. Back home I pulled out the erroneous seam, and have re stitched it. I now just have to attach the binding to the back. Hopefully in time for Scrap Happy Day. Quite excited about it now. Anyway, we have been away this week, so instead of some knitting to share, here’s a few pics taken on our travels. 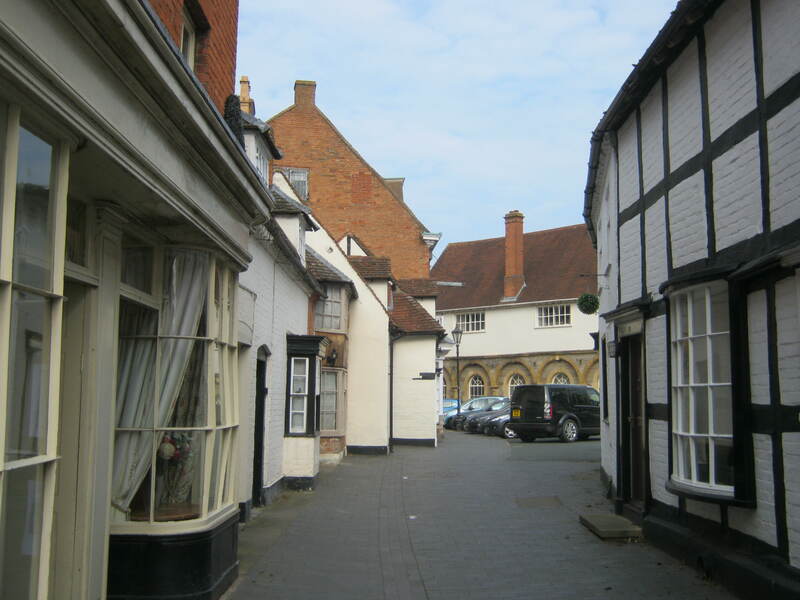 First town we visited is called Alcester, it’s near Stratford-on-Avon. My Dad grew up here. Strangely as children we never visited, I had only been once before about 28 years ago when I went with Dad and my Step Mum. and Mr B was baby B in his pushchair. It’s got some lovely black and white buildings, I am saving most of those pictures for my May Windows post, and I know I haven’t done April windows yet. 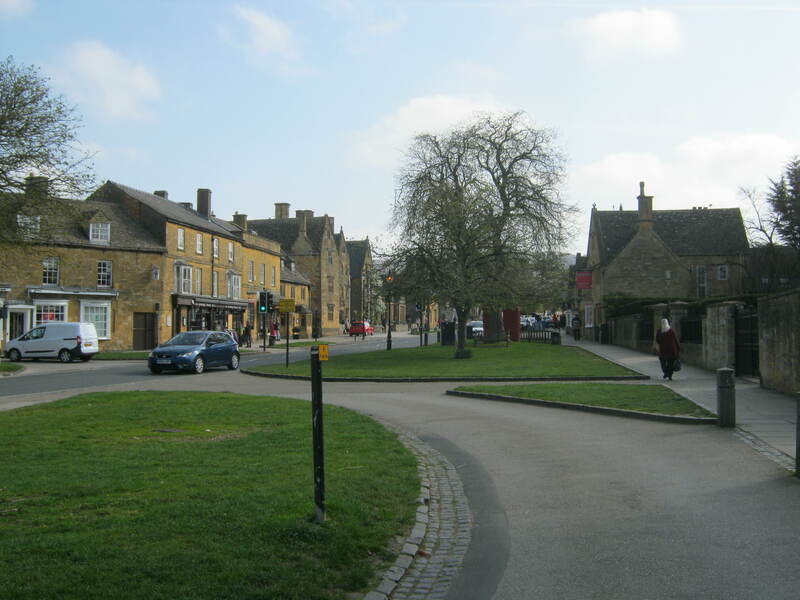 Next stop was the very pretty town of Broadway- a typical Cotswold town. 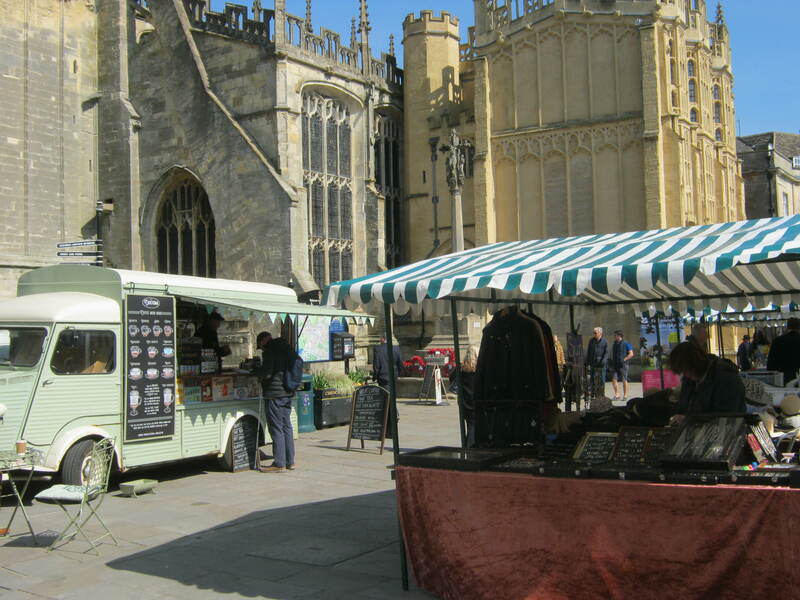 And a very nice veg shop..
very nice prices too said Mr E.
After that we headed to Cirencester. Although we had taken our sons to the roman villa there I had not been to the town proper, and it’s very nice. 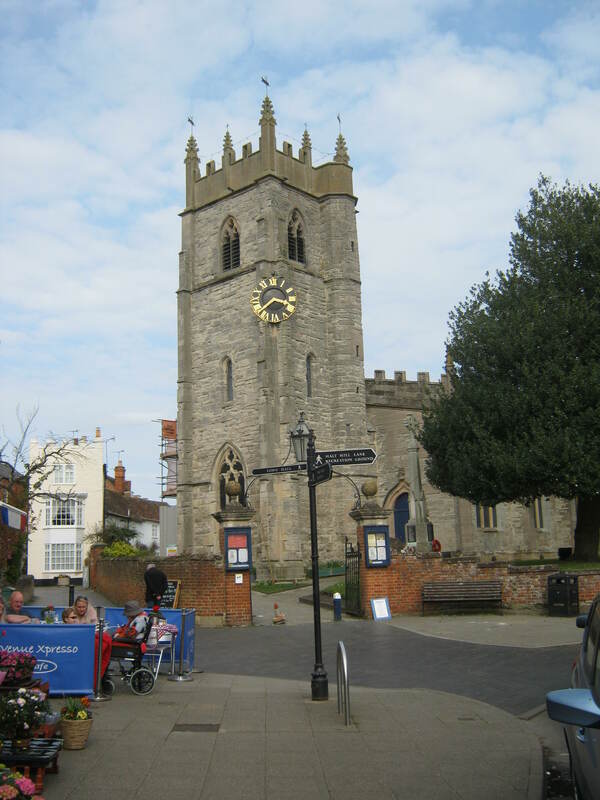 It was a lovely sunny Spring day and we made an impromptu picnic with sandwiches from M&S and a coffee from that stand, and ate it on a bench by the church. 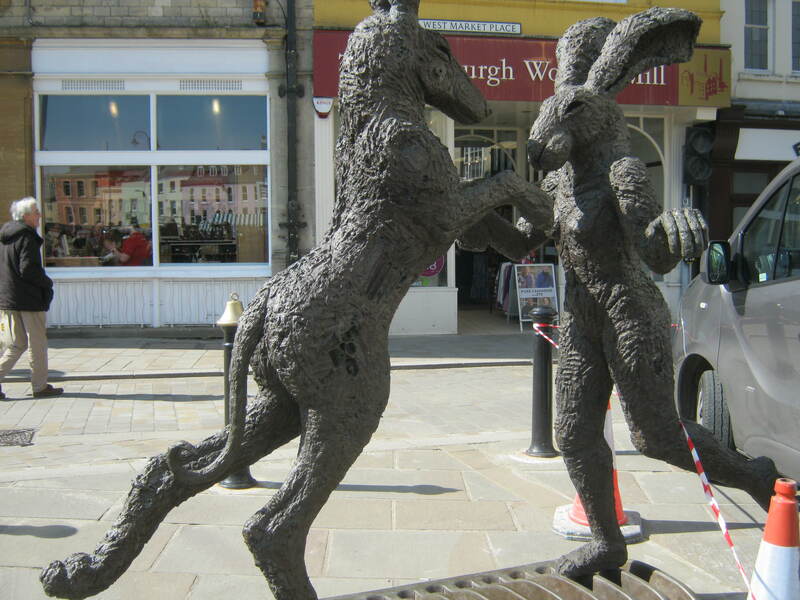 Love the hares. From there we headed to the New Forest, bit rainy there, but we did stop by this nice lake. Rather tired now! This weekend will seem tame by comparison. Thank you for all good wishes last week for my brother, he needs all the support we can give him. He’s my baby brother for goodness sake… he shouldn’t be poorly. So my weekend will be washing, ironing ,cooking and cleaning and I may just do some sewing on the binding! I hope you all have some exciting plans and have had a good week. 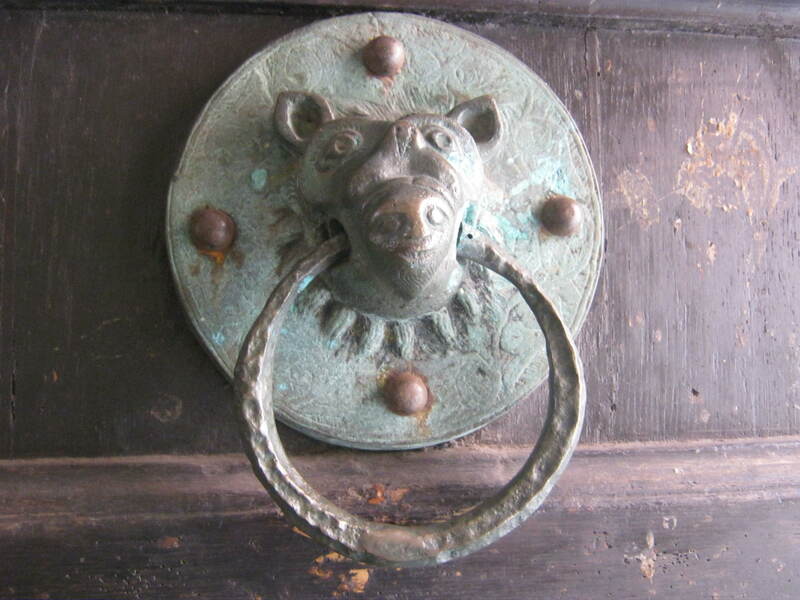 Wonderful door knocker at the church All Saints Pavement, York. Having someone do the winter tidy up is nice. The chaps worked like Trojans and what would probably never have been accomplished by me was done by them in two days. 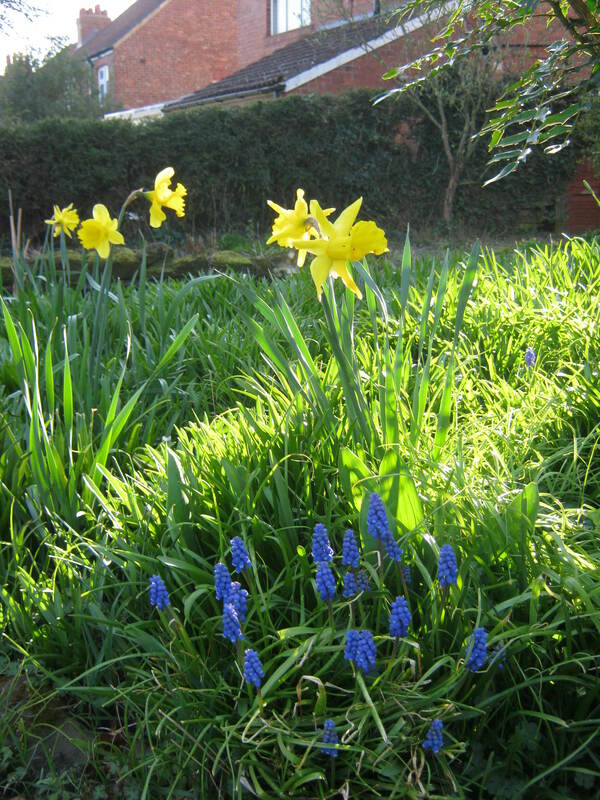 It was lovely, almost an instant tidy garden. But come the Spring and something stirs within me , at least, and maybe you too, which says go outside and weed. I half caught a radio feature one morning on the subject of soil. Apparently some enzymes/bacteria in the soil are released which wakes up plants and says GROW. This is something we as humans can smell, that wonderful earthy damp smell of soil. 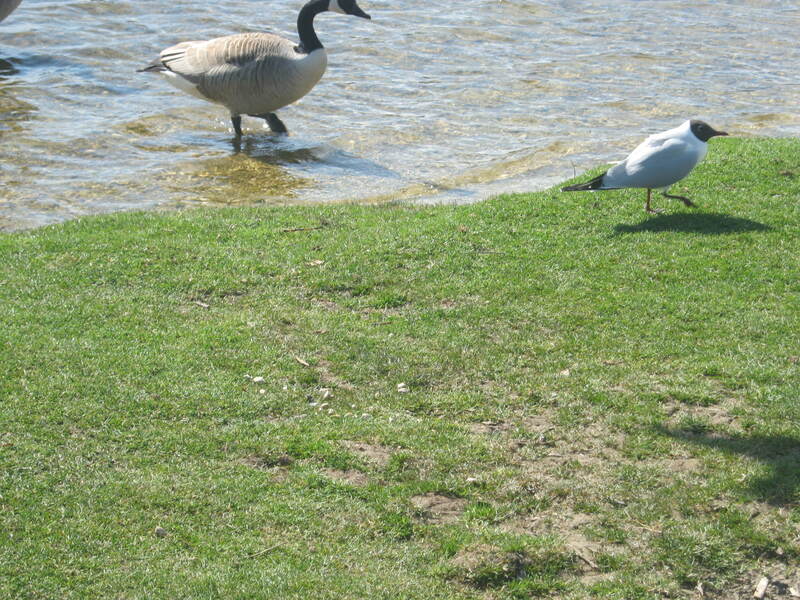 The boffins thinks it kick starts nature every Spring. All I know is I like that smell, it makes me feel better. And so even though our garden doesn’t need it, thanks to the wonderful gardeners, I found myself yesterday afternoon in the garden weeding, which was actually me just turning the soil over. The sun was on my back and it felt wonderful. So here are the few pictures I had taken earlier in the week. 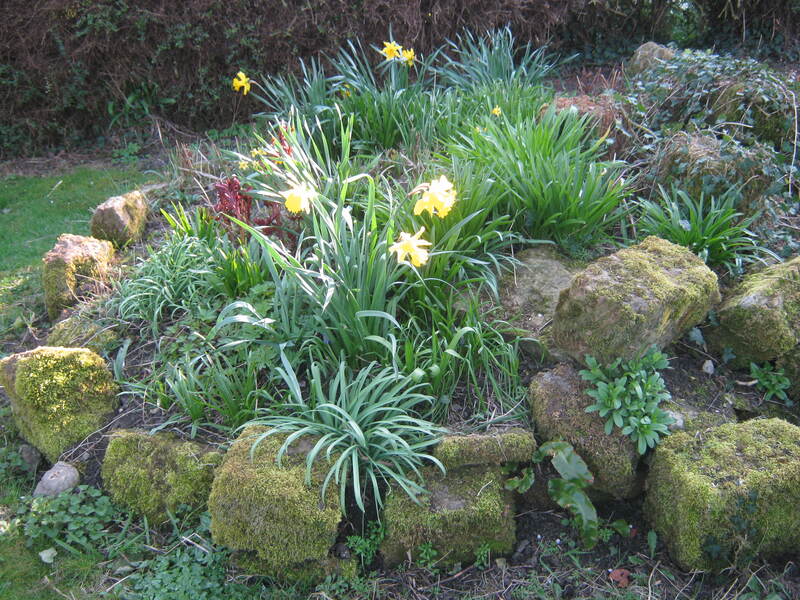 My rockery above the pond. 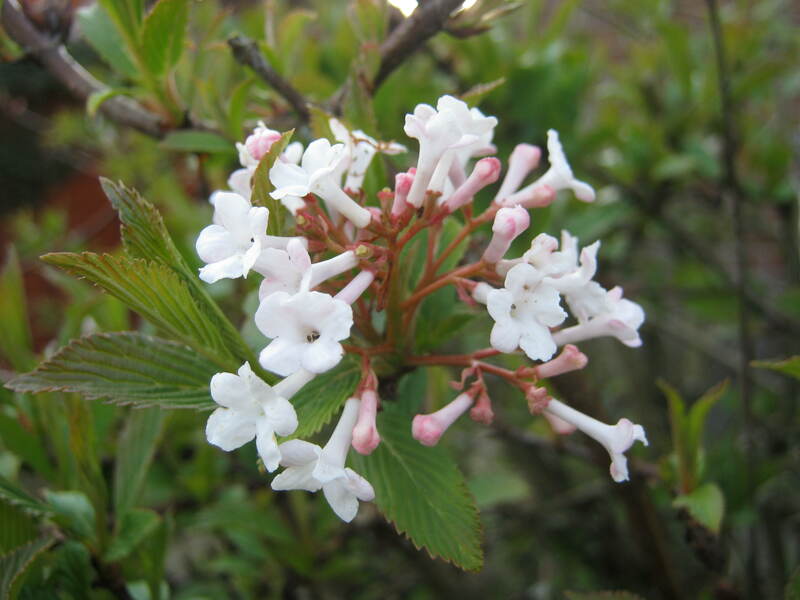 The first of the flowering shrubs. No idea what it called. 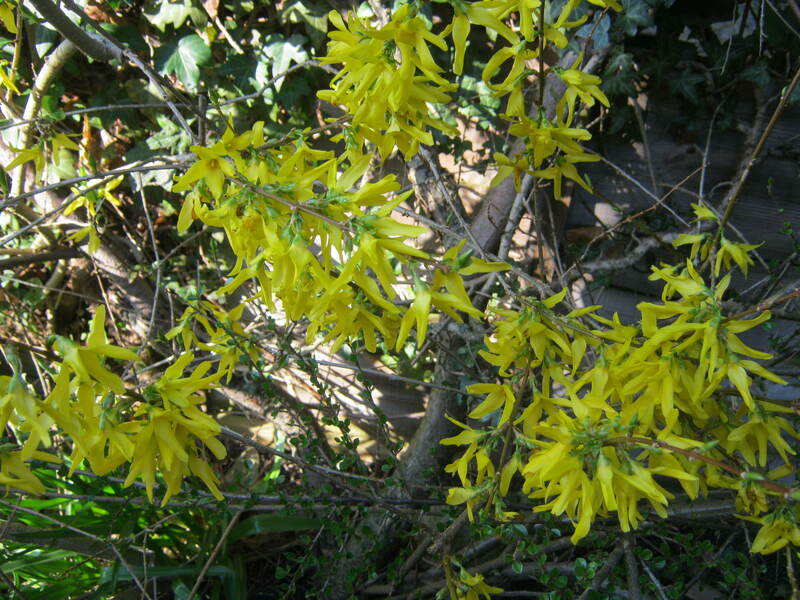 Forsythia, I am never quite certain if this began in the neighbour’s garden or ours since it is now either side of the fence. It’s good to share. 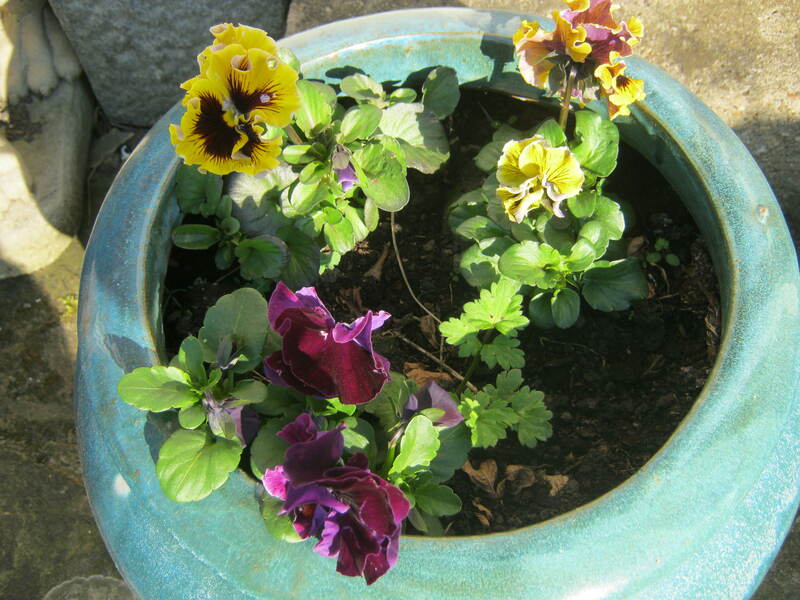 Slightly nibbled at the edges by snails I reckon, but still a pretty pot of pansies by the door. 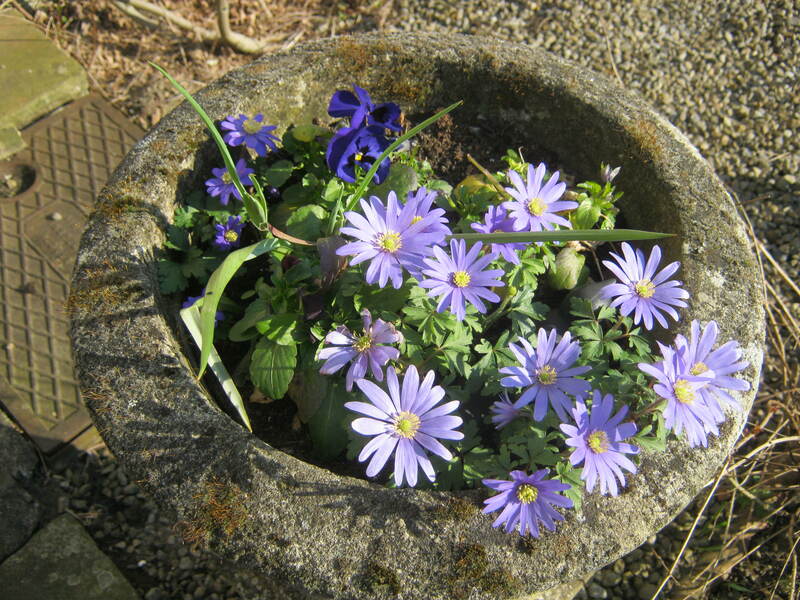 Running riot now in the stone urn, I love this colour combo. Who on earth ever said blue and green should never be seen. Clearly not a gardener. Thanks for all your kind words yesterday. Sometimes I don’t know where I would be without you. May today have some sunshine for us all. Virtually no knitting this week, so it seemed wrong to give my Friday post its usual moniker. There has been some embroidery though. 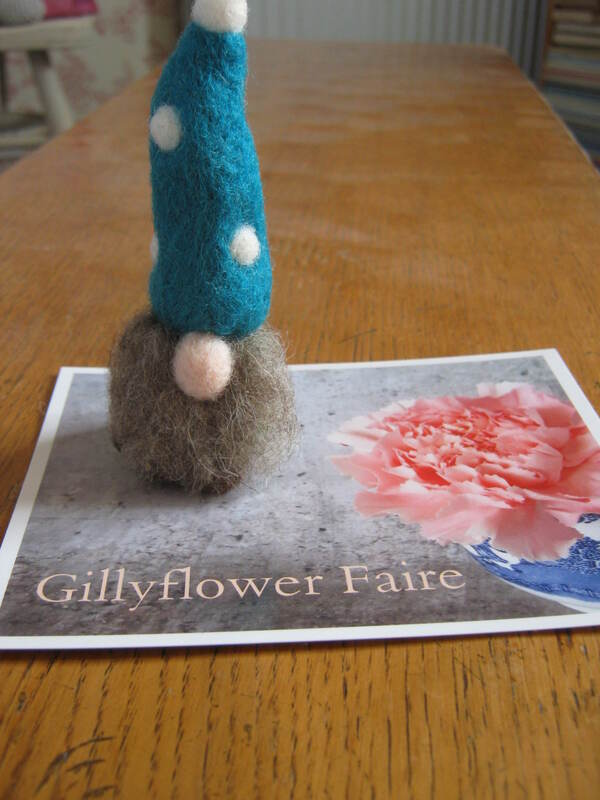 After I had stitched the little owl on felt I remembered that at the British wool show I had picked up a little felt embroidery kit from the Embroidery Guild. I am determined this year to crack on with projects I already have materials for , so out it came. 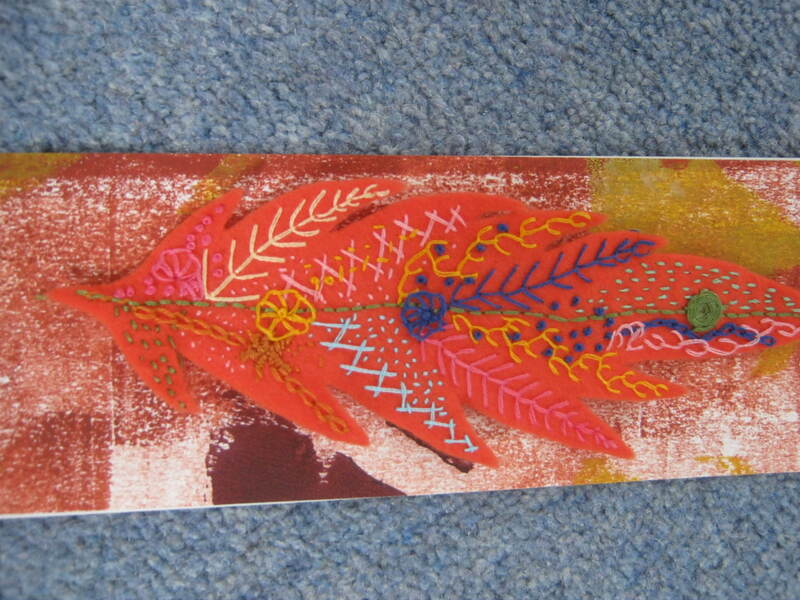 I loved doing the stitching and I think it will make a great bookmark. The only question is. a coloured one. Decisions , decisions. I prefer the coloured and Mr E the white. Thoughts anyone? 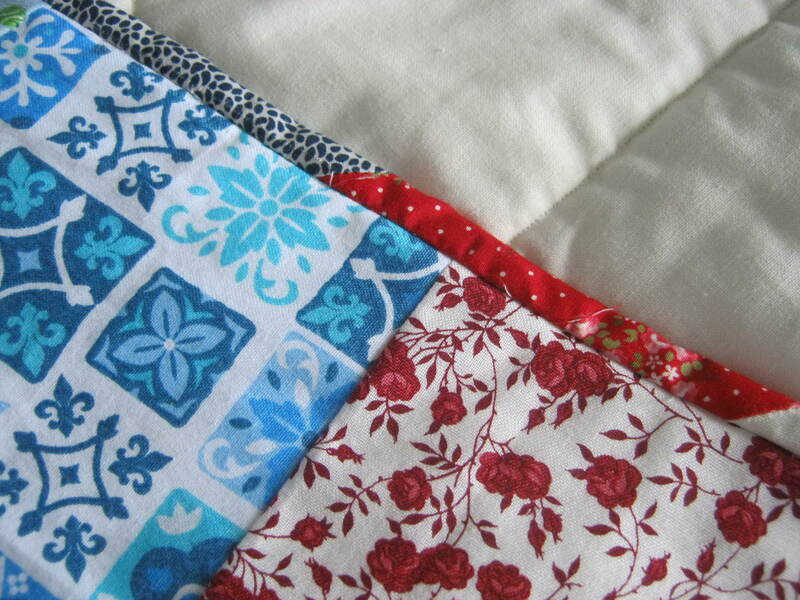 Tomorrow is the quilting class, adding the binding. Exciting but scary all at the same time. Another decision I must make today is a gift for my DIL to be Ms G. I am coming down on the side of an afternoon tea in London with prosecco. The garden still looks pretty. I have some pictures which I will post tomorrow. We have some big plans and I am feeling a bit unsettled. Too early to say what why and when, but enough to have totally distracted me this week. More on this hopefully in the next month or so. Also my brother is very poorly, he’s younger than me and I am very preoccupied. So apologies if I don’t sound quite myself. I don’t feel myself today. I think I need a good walk and to stomp it out. What do you do when or even if you feel like this? 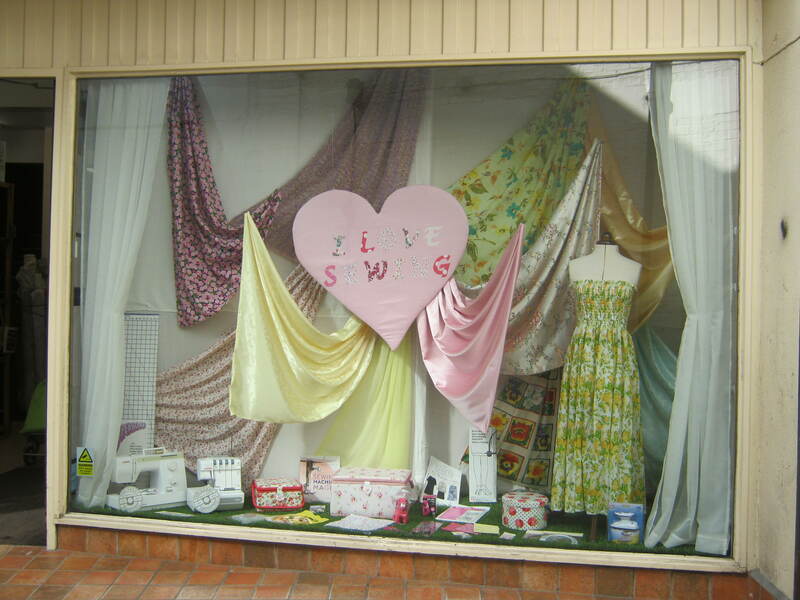 Tomorrow I shall be absorbed in scary sewing machine and fabric, which will be a good thing. I wonder what your plans are for the weekend. Do please join in the natter in the comments. 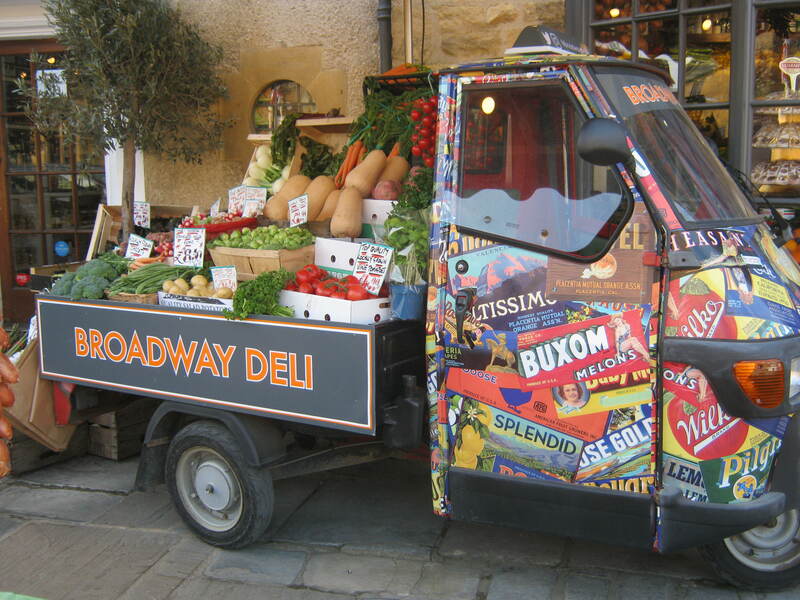 I am off to do the shopping and to the library, hurrah.